The Original LED Purge Mask was inspired by the Asian Streetwear Movement, we are now bringing this Mask to the United States and other Top Countries! NEW! !- We've innovated our design and now made a more durable matte acrylic plastic material for a more durable mask! Not only that, the new design is now more appealing with the lavishing matte. We've also slightly widened the eyes for a more clear look. Please allow up to 3-10 days for delivery domestically (USA) 12-20 (Internationally). ORDER NOW these will sell out before Halloween! You will get tons of attention from everyone who is curious about the LED mask. You will be instantly noticed at any party. 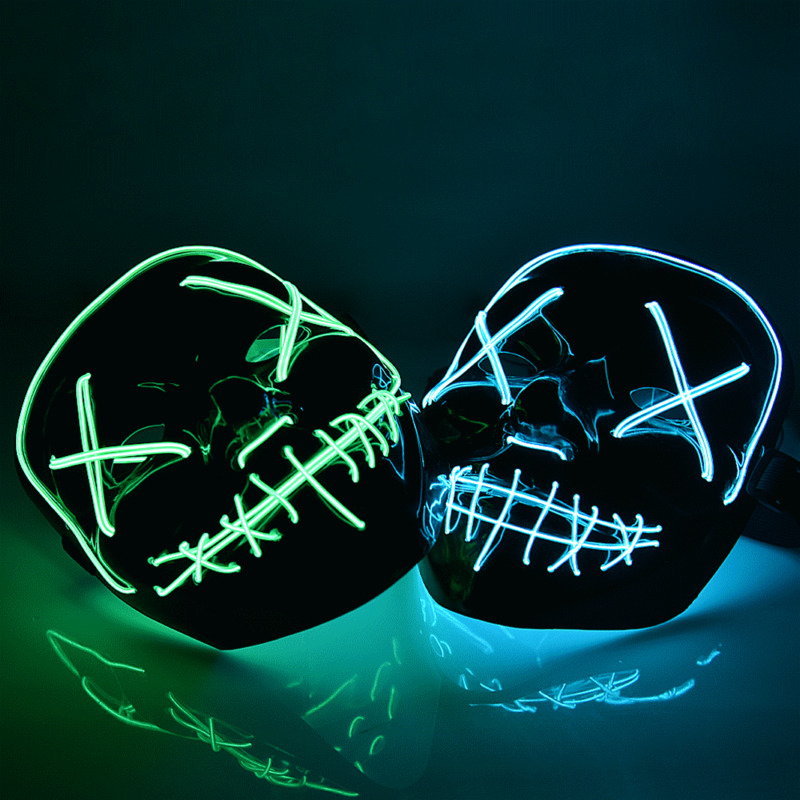 If you are a fan of Halloween, Rave parties or festivals, these Horror LED mask will be the perfect choice for that!